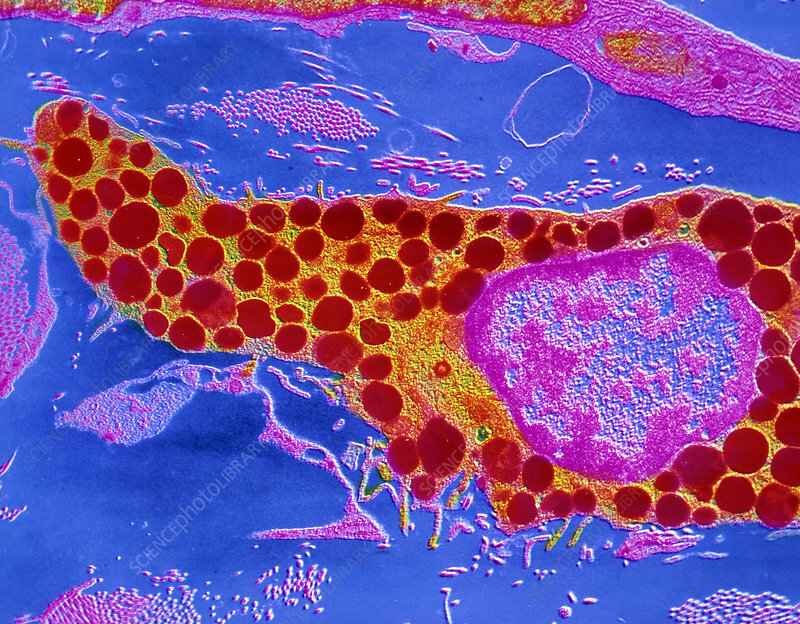 False-colour transmission electron micrograph of a human mast cell or mastocyte. Mast cells are found in connective tissue and form part of the body's immune system. The cell contains a large circular nucleus (pink), surrounded by numerous small dark granules (red). The granules contain the chemicals heparin, histamine and serotonin. These are released in response to foreign proteins on the surfaces of invading bacteria or viruses and are responsible for setting off inflammation and allergic reactions. Magnification: x5400 at 6x7cm size.